I've never met a cinnamon roll that I did not like. The first cinnamon roll I ever tried was when I moved to Toronto, Canada many years ago and went to Saint Cinnamon at the mall. It was the most delicious thing I had ever tasted. All that gooey cinnamon goodness, and a cream cheese frosting. I knew I was going to be in trouble with these delectable morsels. Our theme for #BundtBakers this month is Favorite Bundt Cakes, so I thought I would take my love of cinnamon rolls, and make them in a bundt pan - just like a tear and share (yep, got that from the Great British Bakeoff), which is more commonly known here as a pull apart bread. Although this wasn't already my favorite bundt cake, I knew it very quickly would be. The fact that this recipe listed both metric and imperial measurements made my day in the kitchen a lot easier. You will never convince me that it is easier to measure butter by tablespoons or in a cup, rather than simply placing it on a scale. There is just no comparison. Needless to say this recipe came together very quickly, and I was super impressed with the lovely soft dough and the rise I got from it. I also got to test0drive my new non-stick backing mat that was a Christmas gift from my daughter Monique. 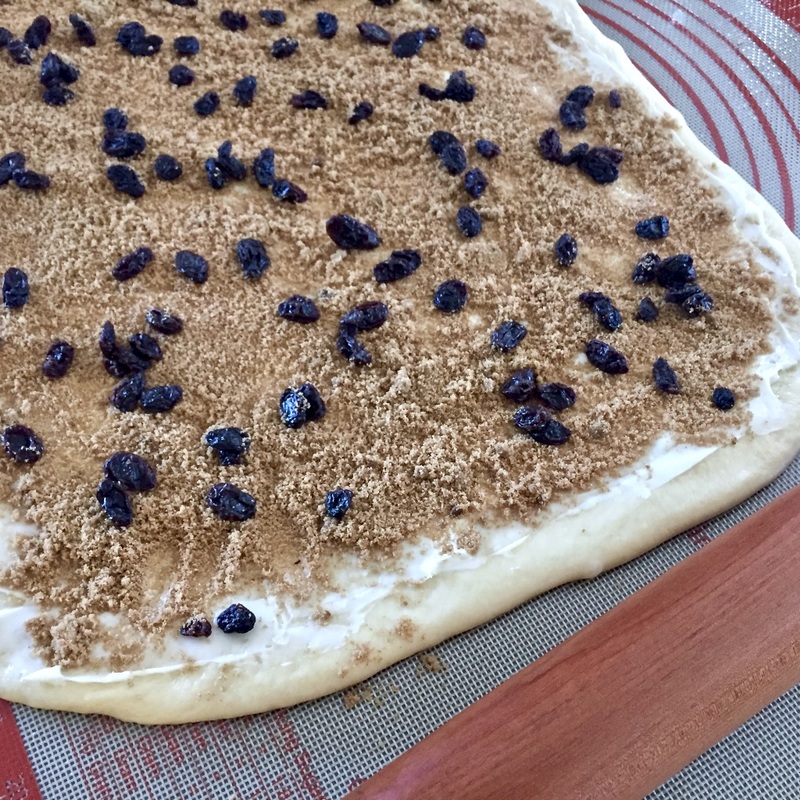 What a joy it was to be able to roll out my dough into a nice large rectangle using the measurements on the side of the mat, and then be able to just wipe it over and put it away. 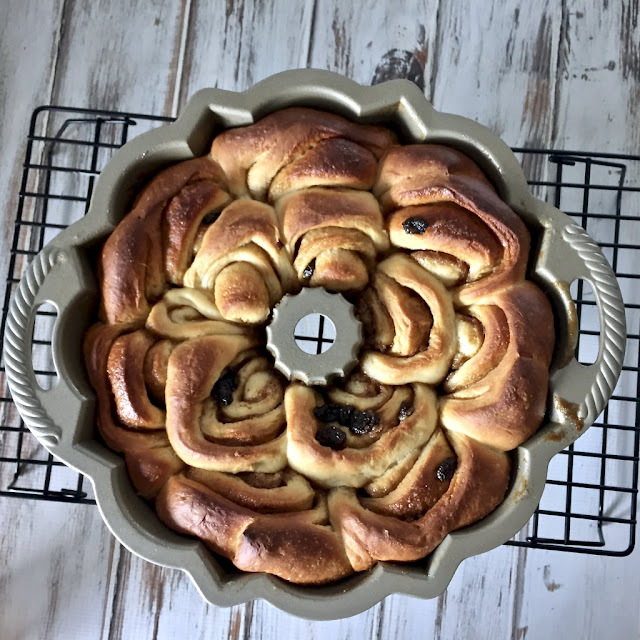 Making this bundt also gave me a chance to post a review of Beautiful Bundts 100 Recipes for Delicious Cakes & More, which I meant to do quite a while ago but somehow misplaced the book, which is so unlike me. What a mistake that was as this cookbook has some amazing bundt cake recipes. Bundts have really come in to their own lately, which makes my heart really happy. This book has plenty of full-color photos (which were actually taken by the author herself!) and the recipes are super-easy to follow. You would be hard-pressed not to find a recipe that would suit any occasion in this book as there are both sweet any savory bundts listed. I went through many sticky notes placing them on the pages of the recipes I wanted to try. 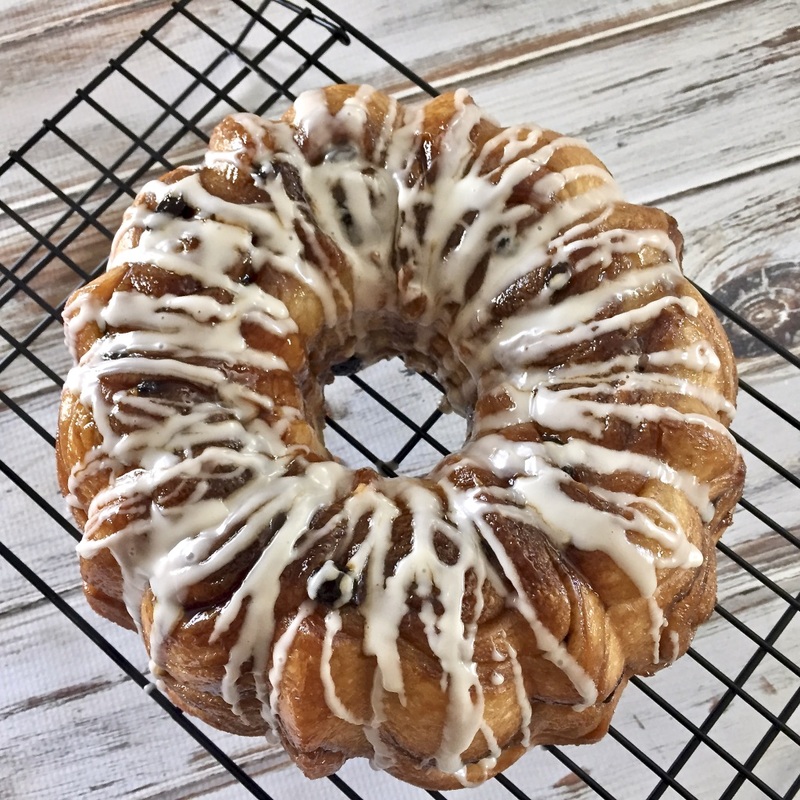 Some that jumped out at me were Cardamom-Streusel Brunch Bundt with Blood Orange Glaze, Bananas Foster Monkey Bread Bundts, the Cheesy Two-Potato Gratin Bundt. 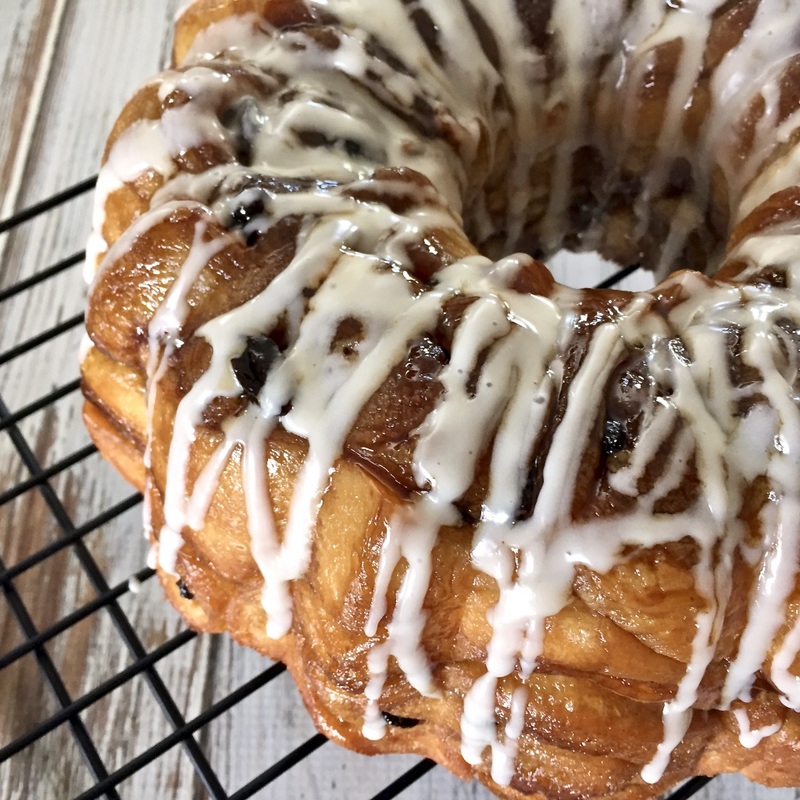 and of course this Glazed Cinnamon-Raisin Roll Bundt. I can see many happy days ahead in the kitchen with this treasure. Stay tuned for more yummy bundts, and grab a copy of the book for yourself - you won't regret it. If you would like to know more about #BundtBakers and see what the other bakers made for our Christmas Bundt theme please scroll down below the recipe. Lightly coat a large bowl with oil; set aside. Spray a 14-cup bundt pan with baking spray; set aside. In the bowl of a stand mixer, stir together yeast, 5g (1 teaspoon) sugar and water. Let stand for 5 to 10 minutes or until foamy. Attach paddle to mixer. Beat in 75g (⅓ cup) sugar, egg yolks, egg, buttermilk, and butter on medium speed until blended. Add 1 kg flour (4 cups) flour and sale, beat on low speed for 2 minutes or until combined. Replace paddle with dough hook, and knead on medium speed for 5 to 7 minutes or until dough is smooth, soft, and elastic, adding more flour if necessary for a dough that is only slightly sticky. Transfer dough to prepared bowl, cover with plastic wrap, and let rise in a warm, draft-free place for about 1 hour or until doubled in bulk. Turn dough out onto a lightly floured work surface and dust with flour. Using a rolling pin, roll dough out into a 50 x 35cm (20 x 14 inch) rectangle, with a long side facing you. Spread butter evenly over rectangle. Sprinkle evenly with brown sugar mixture, then with raisins, pressing lightly to adhere. Starting at the long side closest to you, tightly roll dough into a cylinder, trimming the ends to straighten or make neat. Using a very sharp knife, cut dough into 16 pieces. Sprinkle the remaining brown sugar over prepared pan, shaking to coat as evenly as possible. Arrange layers of pieces, cut side down, around the bottom of the pan. Line the outer wall of the pan with a layer of pieces, so that they are standing on top of the bottom layer. Arrange a final layer of pieces around the center of the pan, sot that they are standing next to the outer layer. Cover the pan with plastic wrap and let rise in a warm, draft-free place for about 1 hour or until doubles in bulk (the rolls will expand in the pan, so don't worry if they look awkward before rising). Preheat the oven to 180℃ (350℉), or 160℃ (325℉) for a dark pan. Uncover pan and bake for 30 to 40 minutes or until deep golden brown, puffed, and firm. While bundt is baking make the glaze - in a medium bowl, whisk together powdered sugar, salt 45ml half and half, and vanilla until smooth. Whisk in more half and half if necessary,5ml (1 teaspoon) at a time, until glaze is thick but pourable. Let cool in the pan for 10 minutes, then carefully invert bundt onto a wire rack to cool for 10 minutes before glazing. 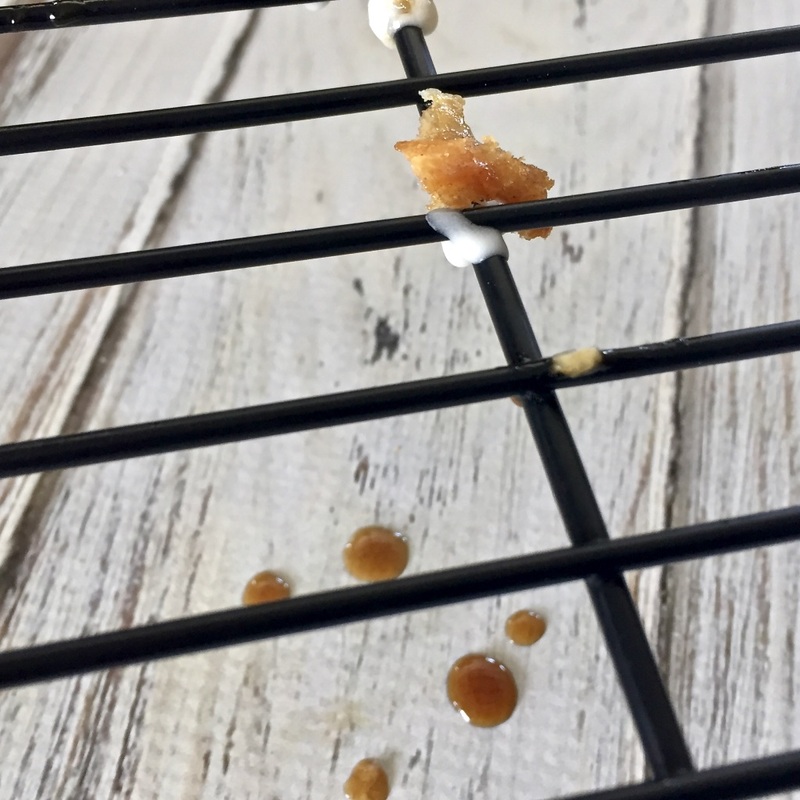 Spread glaze evenly over warm cake, letting it melt and drip down the sides. Let glaze set for a few minutes before serving. #BundtBakers is a group of Bundt loving bakers who get together once a month to bake Bundts with a common ingredient or theme. Follow our Pinterest board right here. Links are also updated each month on the BundtBakers home page. Our theme this month is Favorite Bundt Cakes, many thanks to our hosts Lidia from Nunca es Demasiado Dulce and Stacy from Food Lust People Love. 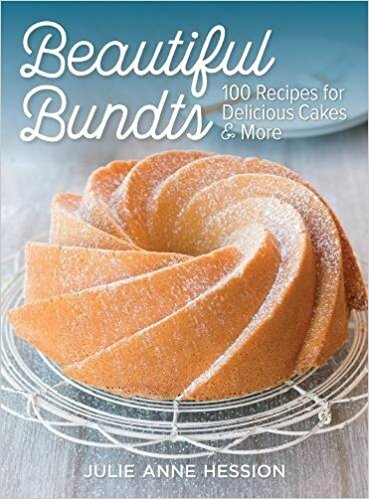 Disclaimer: Beautiful Bundts 100 Recipes for Delicious Cakes & More was sent to me for review by Robert Rose. The opinions in this review are my own. Oh my goodness gracious. I am actually drooling on my keyboard. I had just bought that book recently but hadn't had opportunity to try anything yet. Glad to see the cinnamon rolls work. Yours look lovely. Oh my, can I please wake up an find this on my kitchen counter tomorrow?!?!?! It looks totally drool-worthy! I love!!! What a good idea it looks delicious !!! This baked up perfectly and you sure know how to take a mouthwatering picture. I love baking Bundts and will have to check out this book.